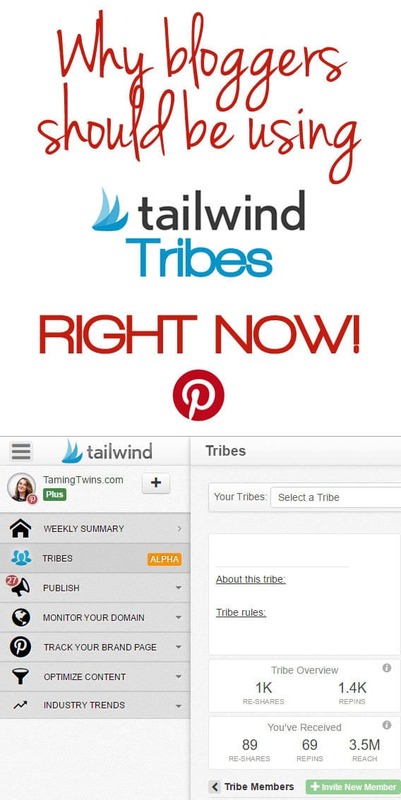 How to use Tailwind Tribes for Pinterest growth, better engagement and good karma! A must for bloggers and content creators. If you’re not using Tailwind yet, it’s a tool for Pinterest that allows you to schedule, plan and analyse your Pinterest performance. Tailwind Tribes is a new feature that allows you and other contributors to queue some of your blog content to a secret place, where only the contributors can see. 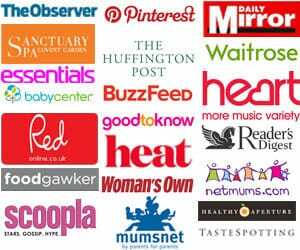 You can then use this as a pool of content to pin from, where you all get the benefit of finding amazing new content to pin without having to search to discover it. I could write for days on how useful Tailwind is for growing your Pinterest following. It’s definitely been a factor in me growing my Pinterest following to over 400,000 people (with high engagement levels too, after all, follower numbers are just vanity, right?). If you’ve been meaning to get to grips with Pinterest, or start to really grow your following and engagement, it’s definitely worth signing up for a free trial: Tailwind Free Trial (by clicking on that link, you’ll also get $15 free on your account as it uses my affiliate code). I create recipe content and family travel content on my blog. I know lots of other bloggers whose content I enjoy in similar niches. I create Tailwind Tribes in my account for “Cake Recipes”, “Family Dinners” and “Travel with Kids Tips”. 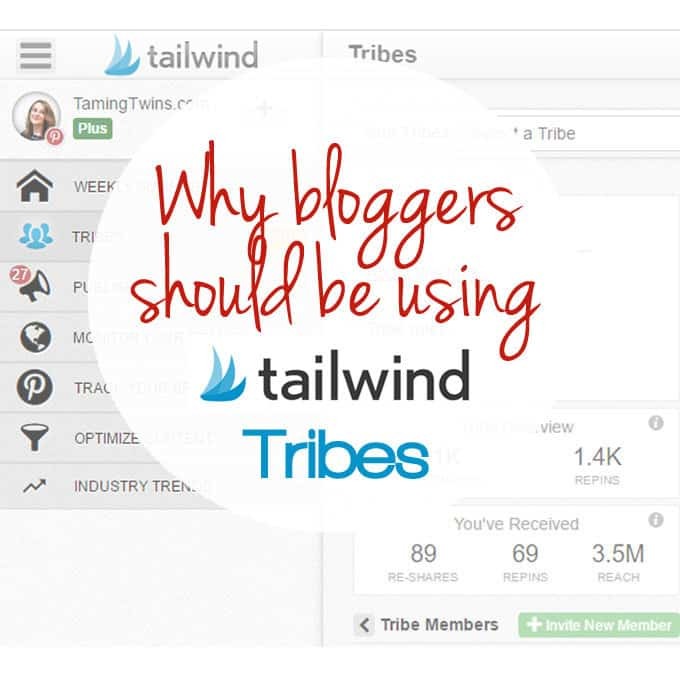 I invite other bloggers to pin to those Tailwind Tribes. They pin their content to the relevant Tribe. We all use that Tribe as a source of new and brilliant content to pin to corresponding public boards. We all benefit from cross promotion AND an easy way of finding great new content. Hurrah! Only join Tribes with people whose content you think is BRILLIANT. Otherwise you’ll be feeling bad for not using the tribe, or feeling like you should pin stuff that you don’t think is fantastic. #awkward. 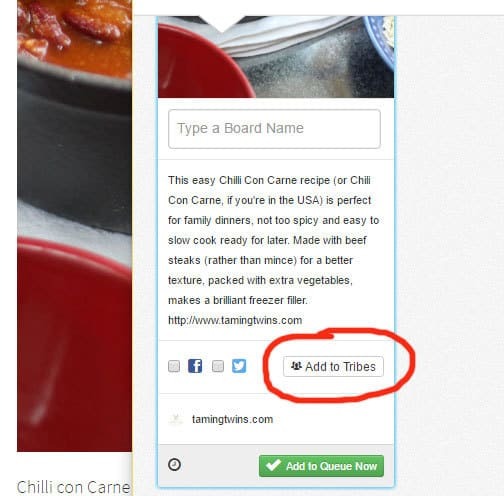 Tribes ARE a place for Pinterest self promotion if you’re a content creator. Pin your own content, and make it your best. Tribes are THE place to ask for self promotion. By doing so, you are giving the others in your Tribe great content to share. Good for everyone right? Set some ground rules. For example, add one of your own posts, repin three others. Get into the habit of using Tribes regularly, nudge the other contributors if they forget. I think Tribes could grow hugely, so don’t be afraid to create quite niche Tribes, otherwise they will become enormous (like those unwieldy giant old Pinterest boards). Make sure you add a good, SEO friendly, but non spammy description to your Pin when you add it to the Tailwind Tribe. As always with Pinterest, keep all of your pinning authentic. NEVER pin content just because you feel you have to. Pin it because it fits with your profile, your brand, your choices. One you’ve signed up to Tailwind, just follow the instructions to add the Chrome extension, then whenever you go to Pin content, you’ll see the option of pinning it via Tailwind. When the Tailwind window opens, you’ll see a button that says “Add to Tribes”, choose the Tribe and you’re off. When you’re sharing from Tribes, it’s pretty self explanatory, you’ll see a list of all of the Tailwind Tribes that have been added, you just select the board you’d like to share them to, right there in the same window and off you go. They will be added to your Tailwind queue as normal and sent out to your Pinterest account at the best scheduled time. The thing I love most about this new tool is that it’s sharing the love, helping to promote other great bloggers and getting benefit yourself too. That can only be a good thing. Have you used Tribes? Any top tips or advice? Pin my “How to use Tailwind Tribes” for later..
Disclosure: This post contains affiliate links, this means that if you click through on the links, at no cost to you, I’lll receive a small commission. As always, I wouldn’t recommend any product that I didn’t genuinely love. I’ve been hearing so much about these. My only problem is finding people to group up with. So few bloggers use Pinterest so I’d be in a tribe all on my own haha!! Started using tribes last month, and so far have been loving it! My only issue is that there is not a great way to search existing tribes and request an invitation. Though I understand the importance of being invited, it also seems those who aren’t yet well-known bloggers may suffer from underexposure. You’ll also find a few others to join on that post too. Hope to see you in the tribe! Thank you Sarah for a wonderful roundup of Tribes. Your explanation of how to use Tribes is so good that I shared it with out founders and Alex said it was “an amazing explanation”. It’s so cleanly put, and useful to us to see it in your own words. Right now we’re scripting a video animation that will explain Tribes, and this helps, who knows maybe we could use your explanation in the video?! Katy and Amanda – ways to search for and discover new tribes to join are on the development roadmap, and we’re hopeful this will really open Tribes up and help influencers find each other. If you’re reading this and thinking – I would like an invite to tribes. Reach out to me david at tailwindapp.com. Thanks David, really pleased you liked it. It’s a brilliant tool. Keep up the good work, I love Tailwind! Do you know of any good food tribes to to get into? No… It should be free for everyone, it’s on the lefthand side, under ‘Weekly Summary’? If you can’t find that, pop me a tweet @tamingtwins and I’ll reply with a screenshot! It’s not there – perhaps it’s because I’m not actually in a tribe yet?! I will see if I can get invited to one. I have a paid account, and no tribes. I don’t see it in my dashboard anywhere, nor in the Chrome extension. The Help pages say I need to get someone to invite me. Sigh. This is so helpful Sarah! I’ve just got my head around Tailwind and now I’m trying to figure out Tribes so this post is perfect. Do you have any Tribes you can recommend? Thanks for the clarity! I support kindergarten teachers with professional development, and I’m now new to Tailwinds and wanting to find Tribes connected to kindergarten. I haven’t found other kindergarten Pinners – what do you recommend to find them? I know I can’t do a search yet. Thank you again!